El rodaje de una película en la pequeña localidad kurdo-iraní de Siah Dareh provocará una pequeña revolución entre los habitantes del pueblo, convencidos de que los miembros del rodaje son en realidad buscadores de un tesoro que se halla en el cementerio local. 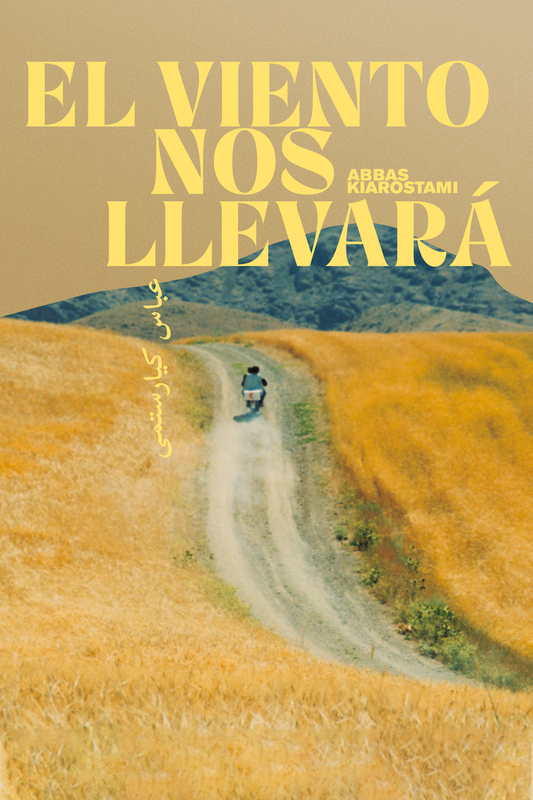 El cineasta Abbas Kiarostami continuó su narrativa poética y contemplativa con una inolvidable reflexión a la vida rural iraní, cuyas solitarias carreteras han conseguido formar parte de la historia del cine. Bahman Ghobadi ejerció de Ayudante de Dirección. La pel·lícula és una meravella. Ara, és del tot incomprensible que se la situï en l'apartat d'entendre el poble kurd quan Iran és un dels països que més atrocitats repressives comet contra els kurds... de l'Iran. La contemplación de lo rural, de la naturaleza, de lo humano, de la quietud, de la tranquilidad. La curiosidad, siempre patente en el cine de Kiarostami. El protagonista es un reflejo de la voz del director, quien se pronuncia a través de las preguntas de su personaje. Las respuestas a las mismas nos descubren un mundo cotidiano y sencillo, un mundo retratado con unas formas casi documentales que nos acercan a esa realidad filmada por el cineasta. La importancia del punto de vista: Kiarostami se centra tan solo en el personaje que le interesa para contar la historia, ignorando a aquellos que sobran. Y al final: la muerte. 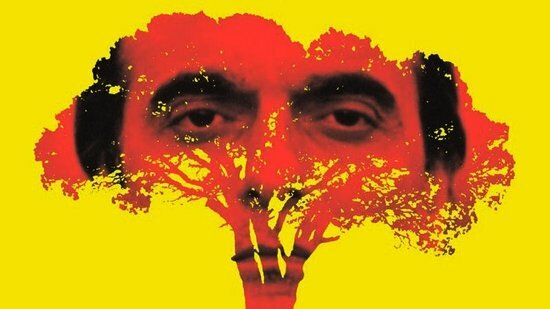 Otra obra maestra de Kiarostami, una reflexión muy profunda y emotiva acerca de la belleza de la naturaleza, de la muerte, de la vida. Una belleza de película, en la que no pasa nada más que la vida, que transcurre en un paisaje encantador.Da que pensar. Cuando la vi la sentí un poco lenta, se instaló en mi al día siguiente, y hasta hoy es mi película favorita! Kiarostami tiene unos tiempos que pueden resultar lentos o cansinos a muchos espectadores. A mí me parece una manera diferente de contar, con su propio estilo, y se agradece como un soplo de aire fresco entre otras propuestas más comerciales. La historia es sencilla, pero resulta interesante colocar la cámara en lugares diferentes, que no encuentran hueco en los medios de comunicación o en el cine más convencional. Contraste entre el mundo rural y el urbano, con un toque lírico y fragmentos de poesías. MARAVILLOSA. POÉTICA. SI QUIERES UNA PELI RÁPIDA NO LA VEAS. SI QUIERES DELEITARTE DALE AL PLAY. "The Wind Will Carry Us is a marvelously assured film—at once straightforward and tricksy. It's also bracingly modest. For all the self-important claims certain experts have made on Kiarostami's behalf, his films are anything but pompous. Typically understated, The Wind Will Carry Usis less amusing than bemusing. Kiarostami's sense of humor feels as dry as the countryside he depicts; the film is in many regards a comedy. The timing is impeccable, the dialogue borderline absurd. The gags, if that's the word, are predicated on formal elements—including the filmmaker's rigorous, somewhat ironic, use of point of view and voice-over. The same routines are repeated throughout, often punctuated by amplified animal sounds, to establish a musical structure. (Shots often end with a herd of goats crossing the screen.) In this sense, The Wind Will Carry Us resembles the films of Jacques Tati and, more recently, Takeshi Kitano's Kikujiro." "I loved this movie. And I yawned through Iranian director Abbas Kiarostami’s previous works Taste Of Cherry and Close-Up. I found both those movies somewhat interesting from an intellectual point of view, but what was there on the screen to engage us, the audience? 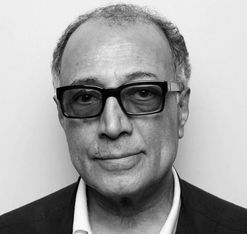 Kiarostami has been attempting to establish what he calls “unfinished cinema” for years. He has maintained that by leaving out pieces of the story, by not telling everything through dialogue and explicit cinematography, he is able to more fully engage the audience in his films. I never expected him to fully deliver on his premise. His latest work, The Wind Will Carry Us, dispenses of all my misgivings. I think that Kiarostami took the (few) criticisms of his last film, Taste of Cherry, to heart and focused his energies on telling as much as he could through the lens and through his deceptively simple dialogue. Essentially, the story concerns four men who travel from Tehran to the village of Siah Dareh where they wait and wait for a specific event: the death of an ill woman. They deceive the inhabitants of the village into thinking they are treasure hunters, and in a sense they are. We only get to know Behzad, the leader of the group, who is engaged in a battle with his conscience. He has a specific job to do in this village and cares not for the objections of the townsfolk nor their traditions. He takes pictures of a woman who asks him specifically not to do so, he drives his truck over the village cemetery, which he uses as high ground for better cell phone reception, and lies to a little boy he befriends. He is forever praising the villagers for their fertility, “You have ten children? Well done! You have five brothers? Bravo!”, yet he has no respect for life or death. The film even manages to be somewhat fast-paced (by Kiarostami standards) with an element of suspense thrown in during the final act. To give away any more of the events would be to place my own interpretation of events on you, the reader. " "Abbas Kiarostami (``Taste of Cherry'') makes quiet, reflective films about spiritual conflict -- but constructs them with such a light hand that they almost seem to occur of their own will, not the filmmaker's volition. ``The Wind Will Carry Us,'' his latest, is an understated fable about a Tehran engineer (Behzad Dourani) who goes to a hillside village in Iranian Kurdistan. His job is to record an ancient ritual, but before he does so, an ailing woman named Mrs. Malek has to die. Impatient and aggressive, the engineer befriends a small boy who becomes his spy and provides updates on the old woman's health. When she fails to die and instead gets better, the trip that he thought would take three days stretches into two weeks, and the pressure from Tehran builds. Kiarostami favors long, leisurely shots that capture the serenity of the village and exult in the gorgeous, ocher-colored landscape. The engineer, who walks too fast and asks too many questions, is the counterpoint to that peaceful, lost-in-time world. When his cell phone rings and he's unable to hear the caller, he jumps in his Jeep and rushes to higher ground so he can talk to Tehran. He doesn't realize how absurd he appears. Gradually, almost to his surprise, he learns to respect the villagers and their simple values, to thrive on fresh air."